This is going to be a good match. 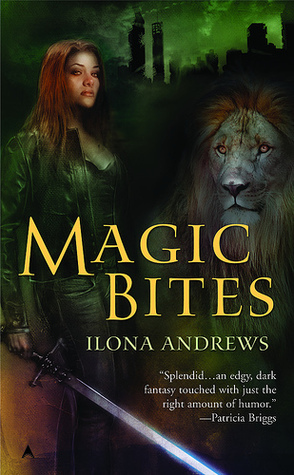 Curran from Ilona Andrews’ Kate Daniels series is a past champion of the Alpha Showdown. Simon, from Anne Bishop’s The Others novels, made the battle last year, but wasn’t quite enough of an alpha at the time. Those who nominated him this year say it’s time to recognize the wolf shifter. Can he beat the lion? All right, perhaps you require more convincing. 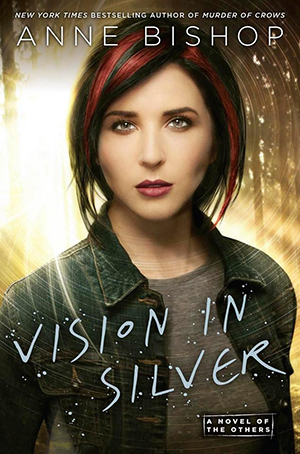 This is the badass that united all of the shifters in magic-torn Atlanta into a Pack so strong the other biggest badass in this world sees Curran as a threat to be removed. He’s ripped the heads off gods, gone claw to claw with rogue vampires, and attended more boring meetings and weddings than a person should have to bear. His roar makes the primitive part of your brain scream “Run away!” even though you know by the time he’s seen you, it’s too late. Being an alpha is so much more than the ability to rip your opponent to shreds in a nanosecond. There is the sense of responsibility to others, reputation for action, a commanding presence that makes everyone ask “how high” when he says “jump.” We’ve seen Curran’s protective nature spread from his Pack to his new family with Kate, and on to the whole city of Atlanta. That’s right, his alpha-ness is growing as the series progresses and he does it all without being a raging douchecanoe. Supernatural status: Alpha. Wolf Shape Shifter. Leader of the Lakeside Courtyard. Able to selectively shift body parts. Thinks humans taste good. Everyone wants to be king of the mountain, but time has shown again and again that only the strongest, fiercest, smartest, most calculating, protective, and the handsomest can be top dog. Simon Wolfgard is the top alpha dog of this pile. The Alpha of the Lakeside Courtyard, Simon is a wolf and rules his kingdom with a razor sharp mind that matches his claws and teeth. He doesn’t need magic or a sidekick to keep his people in line…it’s all in his thousand yard stare and his “eat first and ask questions later” attitude. Simon is wolf first and foremost; his humanity only a skin he designs to wear in order to deal with the humans. He looks at the world and its inhabitants through the eyes of a predator and have no moral qualms with making you the weekly special at the local butcher shop if you get on his bad side. Simon is extremely attractive with a dry wit despite his surly grumpy attitude. Strong, commanding, and completely untamed; he is the ultimate alpha through and through. He doesn’t like humans but he will use them in any and all ways in order to make the world a better place for his pack and all shifters. He demands complete obedience and respect. Any attempts to usurp his authority is dealt with swiftly and painfully. Protective to the ninth degree, once Simon accepts you, you belong to him forever and he will fight to the death (usually his opponents death) to ensure nothing and no one hurts you. Even if it means taking on his own pack. Though he’s not one for romance as we know it, remember he’s a wolf first, he is willing to try for someone that speaks to the man and the beast. Games of the heart make no sense to him and forget about human emotions. He won’t, or maybe can’t, understand the appeal of a partner beyond physical release. But, as with any wild beast, with enough patience and good intentions, you can tame and befriend them until a love is born that is unbreakable. Unlike some so-called alphas, Simon will never give you reason to question him or yourself. He tells you like it is and you can trust him to never lie, cheat, or give you reason to be jealous. His honesty is both refreshing and a bit disconcerting. Simon will always have your back because once you’re pack…there is no going back. Who are you putting your money on: the lion or the wolf? With Round 6 we have a copy of Karen Miller’s The Falcon Throne up for grabs. Use the Rafflecopter form below to enter. Oh my gosh Curran is winning by 400 votes, thats interesting. He was The Beast Lord, the alpha of alphas for the strongest pack in the US, until he chose to step down. How does the leader of the wolves in one courtyard compete with that? I never said i disagreed with that, he was who I voted for in the first place, I just said its interesting. I am going have to read this book with curran in it to see what everybody likes so much about him. Yes I’ve not experienced him yet , but I did vote for him. I really hate that Twitters are necessary. 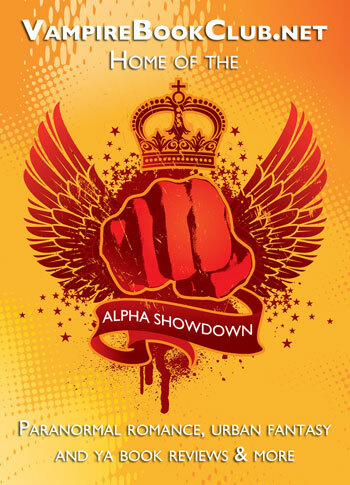 Twitter participation isn’t required for the Alpha Showdown. Let me know if you’re having issues using the poll function to vote, though! We give an extra entry on the contest portion, though, for people spreading the word via Twitter or for visiting our Facebook page. The more, the merrier! He is the beast Lord!! Tough choice but I don’t think Simon would be the one to take down Curran. I cannot think of any other Alpha that could take on Curran. He is the Beast Lord. Curran – I adore Simon but Curran would just chew him up. Come on Beast lord!! You got this!! Simon… Who’s Simon? Eh, I’ll admit that Curran would totally pulverize Simon in a showdown but I do have to say that I like Simon’s character better. Curran is witty and funny and protective and hot and a great alpha but his character is just…off somehow, like its missing something. I like Simon better but since this is a contest to see who would win in a fight I have to place my vote with the Beast Lord.